Being a school leader is tough. You face new challenges every day. Money and resources are tight. In some cases, they’re non-existent. But that doesn’t stop you from finding a way. Students and parents and staff depend on you–and you thrive under that pressure. 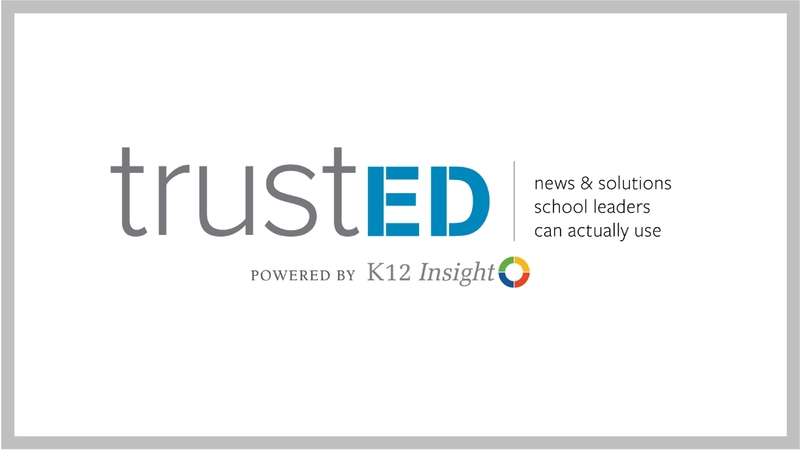 It’s in honor of you that we created TrustED, our new online content hub for K12 schools leaders, featuring news and practical solutions that you can use to solve the toughest challenges in K12 education. Our goal is simple: to help you quickly find information and inspiration, so that you can get back to doing what you do best: providing quality, sometimes hard-fought educational experiences for students and families. Our editors scour the planet daily for big ideas, best practices and spirited debate—and we bring it all together for you here. For schools, money isn’t everything, but it certainly helps. Explore the challenging world of school funding and what districts are doing to make sure their students have what they need to succeed. Quality teachers are a school or district’s most important asset. Get insights into the latest teaching strategies and philosophies influencing K12 classrooms. The rise of choice and competition is changing the way schools work. Good customer service is vital. Discover new ideas for engaging with students, parents, teachers, and the communities you serve. The path to successful schools starts with effective school leaders. Learn how other leaders are tackling the biggest challenges facing their schools and pilot their solutions in your school or district. Protecting students is the No. 1 charge of any school leader. Explore innovative ways to battle bullying, violence, and health challenges in your schools. The vast number of innovations for schools is enough to make even the most tech-savvy educator’s head spin. Let us help you sift through the complex ed-tech landscape—to find solutions that work for your schools. From time to time, we’ll also feature expert commentary from some of America’s most effective school and education leaders. Keep an eye out for special series on hot-button issues, such as school climate, bullying, and classroom innovation. I hope you’ll take a minute to read our content—and that you’ll consider sharing it with colleagues and friends. We publish to TrustED daily, so be sure to sign up for our bi-weekly newsletter, The List. That way you won’t miss a beat! Welcome to TrustED. We hope you enjoy your time here—and that you take something useful with you when you leave. Be the first to comment on "Welcome to TrustED – built for school leaders"